What a night of nights! This year’s Awards Gala was a celebration of all things dance by a growing and excited Australian dance industry. As media sponsor, Dance Informa was there to applaud the industry it loves. Hosted by Neil Pigot and Auslan presenter Anna Hruby, the evening paid tribute to the country’s dance and choreography achievements of 2009. We were treated to performances by Buzz Dance Theatre, Tracks Dance Company and The Australian Ballet, amongst others. The evening opened fittingly with Bangarra Dance Theatre presenting Black, choreographed by Stephen Page, who was later to win an award for Services to Dance. 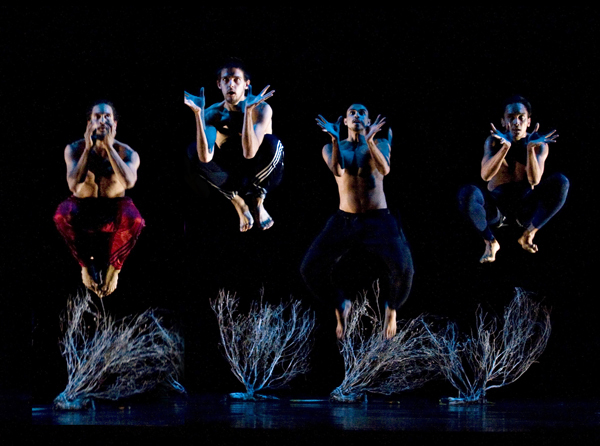 Bangarra also took out the award for Outstanding Performance by a Company for Fire – A Retrospective. In Black the men of Bangarra showed us their special and almost animalist movement as we caught a glimpse into sacred Aboriginal Men’s Business. It was intriguing and beautiful and well received by the audience. 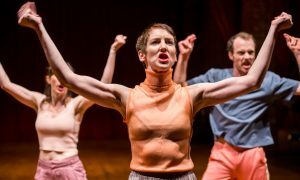 The highlight of the evening was a performance of Untrained by Lucy Guerin Inc. Comical and interesting, Untrained explores the differences between two trained and two un-trained dancers. The audience was very appreciative of all the dancers, who possessed performance flair, no matter how awkward they were. 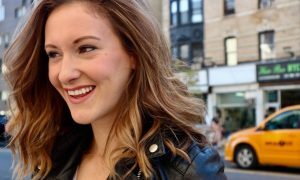 Untrained was laugh-out-loud funny and very ingenious. It was the talking point of the evening for those who had not seen the work before. A wonderful surprise for the evening was a performance by new Perth based company Ludwig. Presenting Soul Searching, Ludwig showed real talent and a promising future ahead. The dancers were strong and technically sound, and the choreography displayed great musicality and a fresh flavour. To end the evening, a barrage of Melbourne’s young dancers entered the stage with ‘One’ from A Chorus Line. Choreographed by Jason Coleman and Troy Phillips, the piece featured ballet, jazz and hip hop and was led by an adorable young girl, who looked only about eight years old. It was a fun and energetic number, followed by an explosion of streamers from above, covering the excited audience. Congratulations to Ausdance Victoria, for another wonderful celebration. We look forward to the Dance Awards in Brisbane next year.